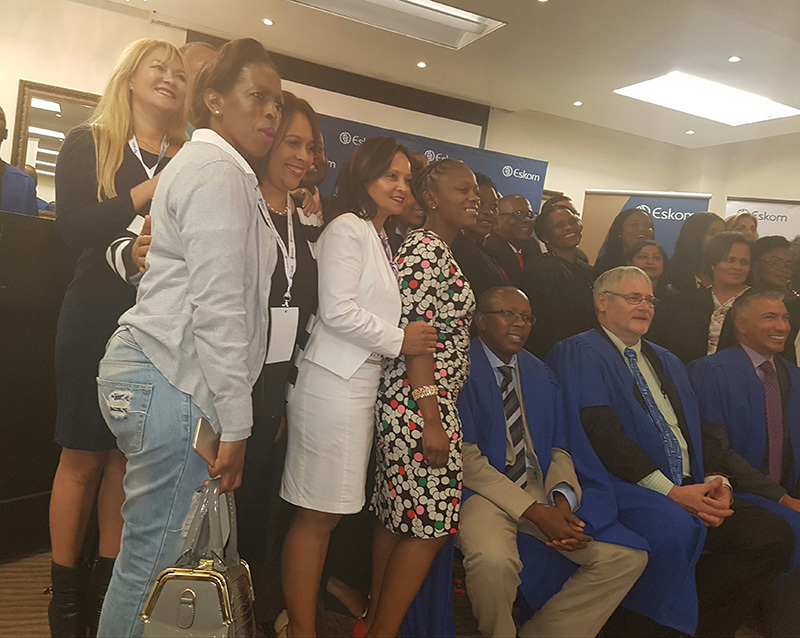 I attended the Eskom Contractor Academy Graduation Ceremony in my capacity as Deputy Chairperson of Business Western Cape. The aim of the Academy is to assist, develop and equip emerging contractors and suppliers with financial, legislative, management, leadership, entrepreneurial and technical. I liked what the MC said and these words resonated with me, that is, an entrepreneur is a crazy person, as we choose a road less travelled and go against the status quo of receiving a salary at the end of the month. And let’s not forget the heart palpitations when you look at your bank account! Because we believe in our dream and vision more than our reality. Great programme by Eskom and for setting an example of good corporate citizenship.